The Faucett House is a very well-preserved 2-story frame Federal style house, one room deep, with an original one-story rear wing. 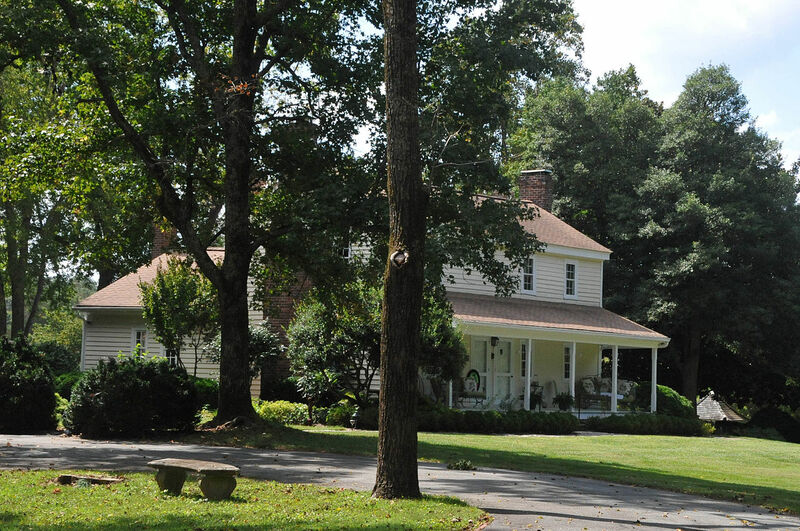 The house has a gable roof, exterior end single shoulder brick chimneys, and a one-story shed porch extending the length of the main facade. Between 1938 and 1940, the house undenwent a substantial restoration by F. L. Altvater- then owner. 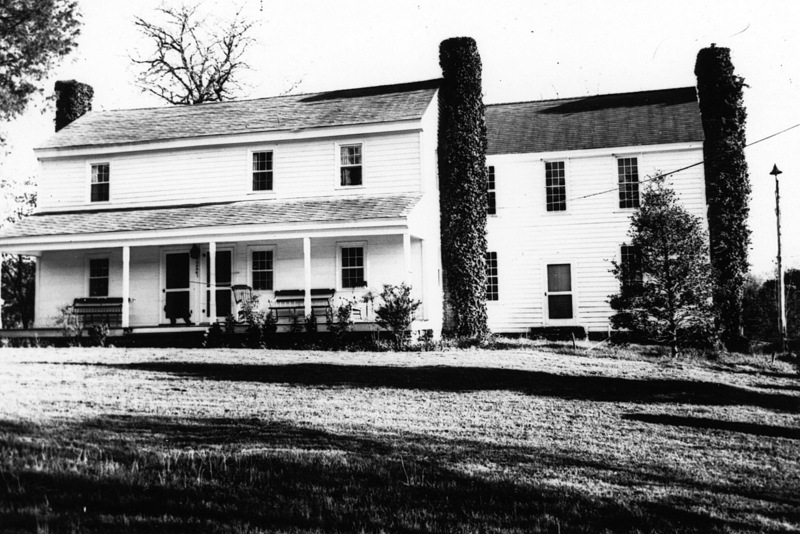 Although Altvater moved an early house from its nearby site to this property, and attached it as a rear wing at the southwest corner of the house, architectural analysis indicates that the restoration respected the original fabric of the main block. The house retains integrity from its estimated construction, ca. 1808. 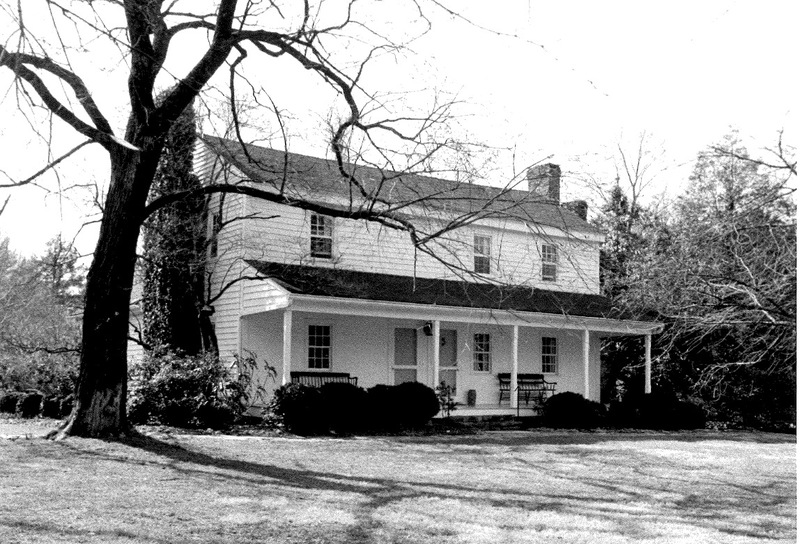 The Coach House was built about 1790, probably by Robert Faucette, a miller and innkeeper. It stands on high ground above the ford of the Eno, near the Faucett Mill, and once accommodated travelers on the King's Highway, the road to Salisbury. Chatwood itself is a combination of two old houses, the Coach House of 1790, and the Naile Johnson House of the same age, which was moved from the St. Mary's area, and serves as the wing. There are two front doors to the original house, one to the inn parlor, the other to the owner's quarters. The original driveway continued directly from the road to the front porch. The stagecoach from Salisbury crossed the ford and sounded a bugle to let the innkeeper know of its coming. The horses were kept in a large barn directly across the road. There is still a ford across the Eno, and the Faucett Mill may be seen from the front porch. The large mulberry tree, supporting an ivy vine, is nearly a hundred years old. Miss Maude Faucett remembers it as a girl. At present, there are masses of old bulbs all over the garden, particularly of the small yellow trumpets, or Lent Lilies, Queen Anne's Double Jonquils, and the narcissus, "Twin Sisters." Many of the old trees are now gone. There remain two slippery elms and an old black walnut. A giant honey locust was taken down in 1962. The driveway is bordered with a planting of black walnuts. Most of the two-hundred acres on which the Coach House stands were in the Faucett family from 1768 until 1896. The land extends east, west, and south, and is bordered for some distance on the west by the Eno River. There was, long ago, a road from the "Walnut Spring" in the woods, over the hill to a house in a hollow, and continuing on to fields along· the river. Just west and below the house is the spring which supplied the household with water, pulled up to the kitchen in buckets on a rope called a 'water boy.' A pile of stones nearby marks the spot where the first house stood. It burned down many years ago, as did a similar inn on the opposite side of the ford. Masses of reeds grew at this spring and are still growing along the edge of the branch. There are mats of water cress and large clumps of black peppermint here. An enormous sycamore and a giant hackberry growing above the spring were blown down several years ago. The herb garden, which looks down into the Cedar Glade and beyond to the Eno, holds many varieties of edible and fragrant herbs. The "Shrubbery" has been planted to fruit-bearing bushes, which the birds enjoy throughout the winter. Old fashioned roses grow around all sides of the garden. A new addition, a small formal brick garden, holds the overflow of the old roses. They are a foil for the more modern varieties, and one looks beyond to peaceful vistas of fields, woods, and the Eno.